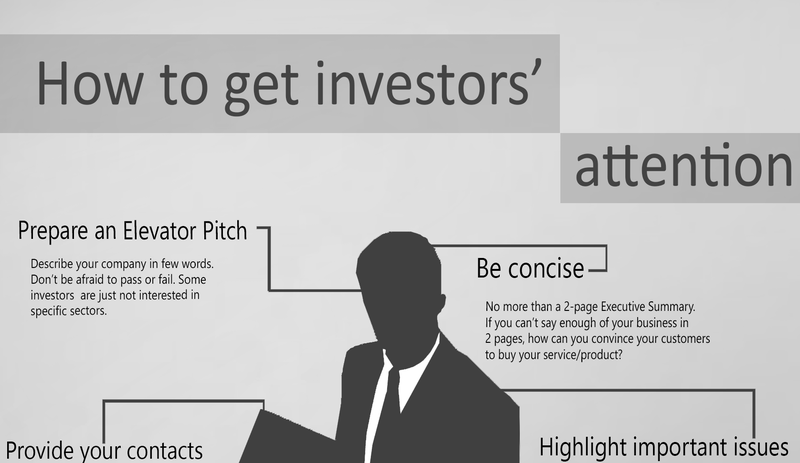 Wondering how to convince investors of your idea? Use the right tools to display your strengths! How do I attract investors’ first interest? 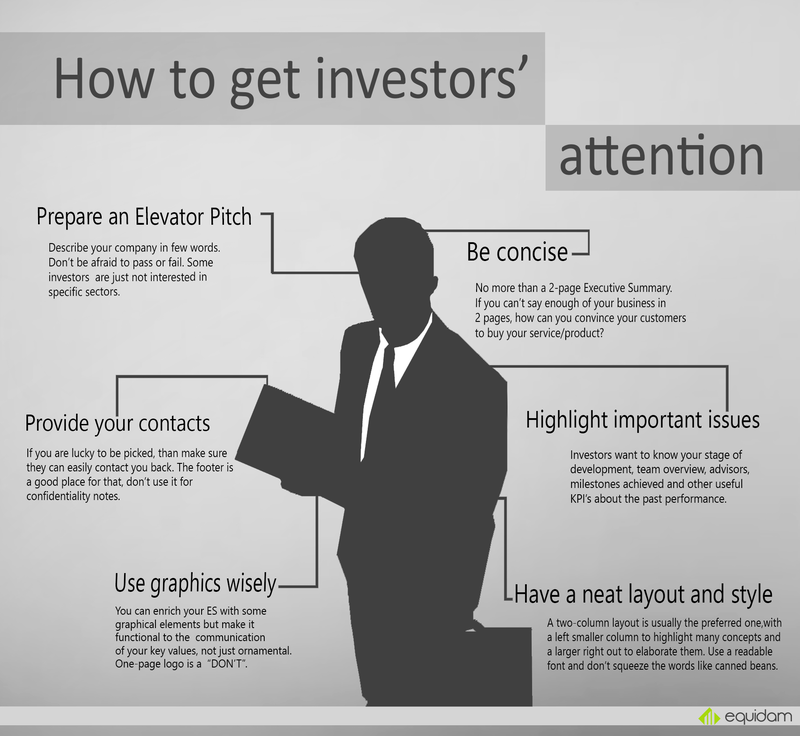 From our experience with angel investors, they receive tons of Business Plans every year. Needless to say they hardly read the first paragraph. They are so much swamped with investment opportunities that they don’t mind missing a good one as they know more will pass. As a consequence, they developed some “screening techniques” that enable them to pick some winners in a relatively short amount of time. No more than a 2-page Executive Summary. If you can’t say enough of your business in two pages, how can you convince your customers to buy your service/product? You can enrich your ES with some graphical elements but make it functional to the communication of your key values, not just ornamental per se. One-page logo is a “DON’T”.